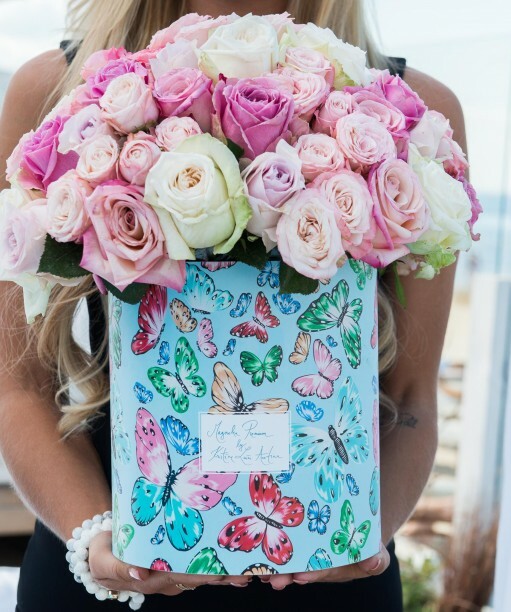 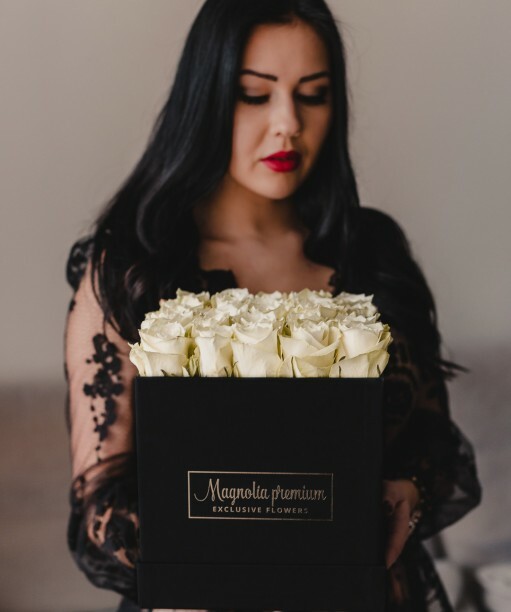 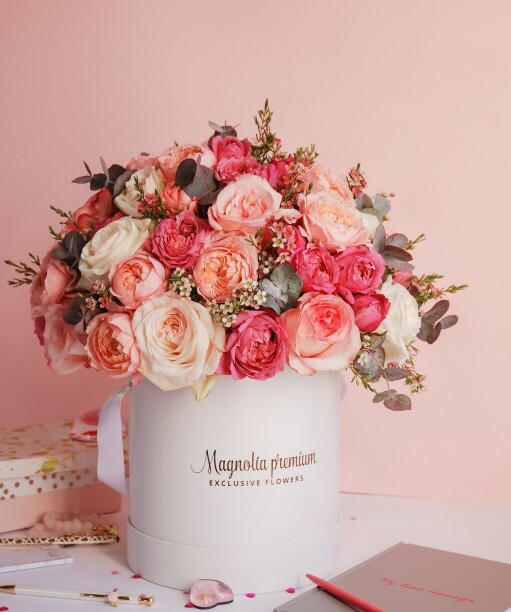 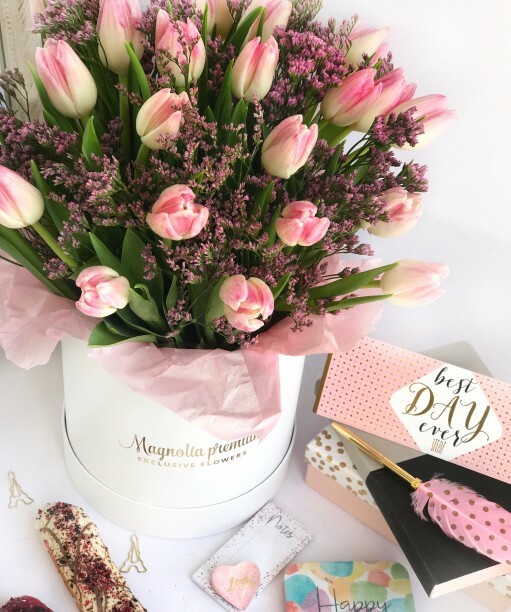 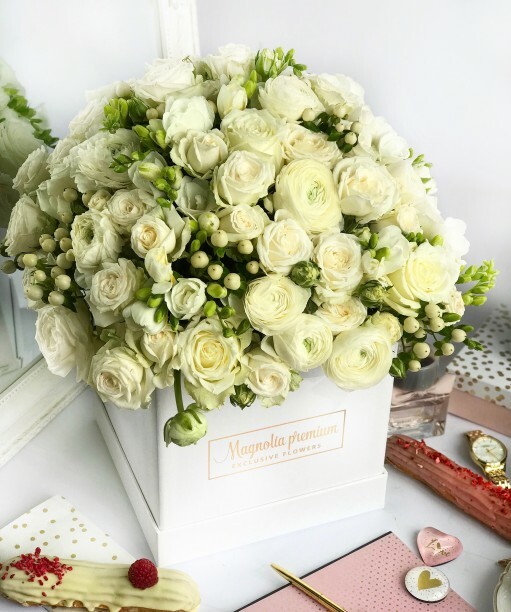 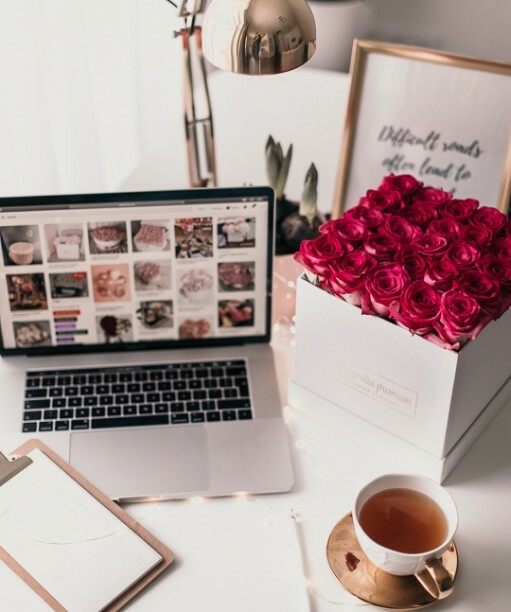 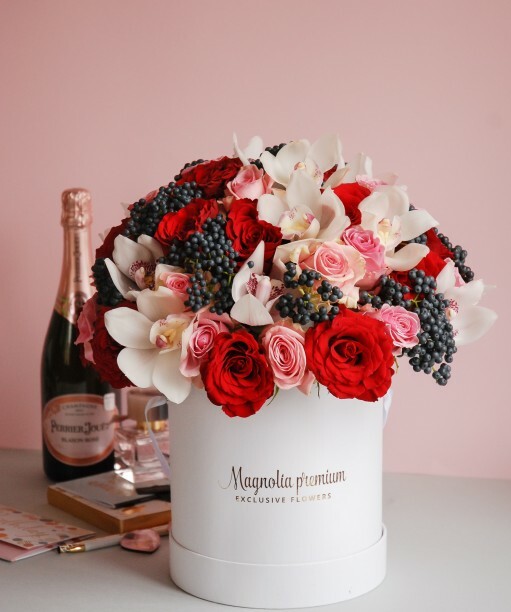 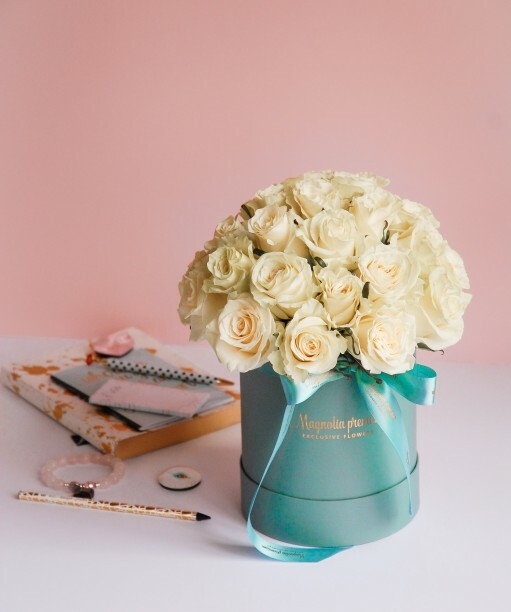 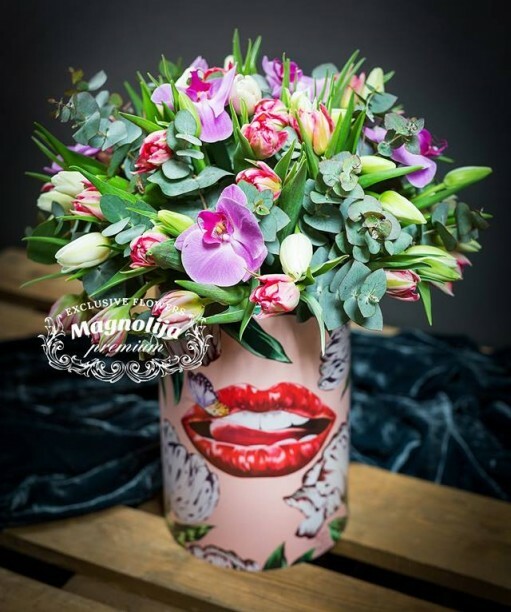 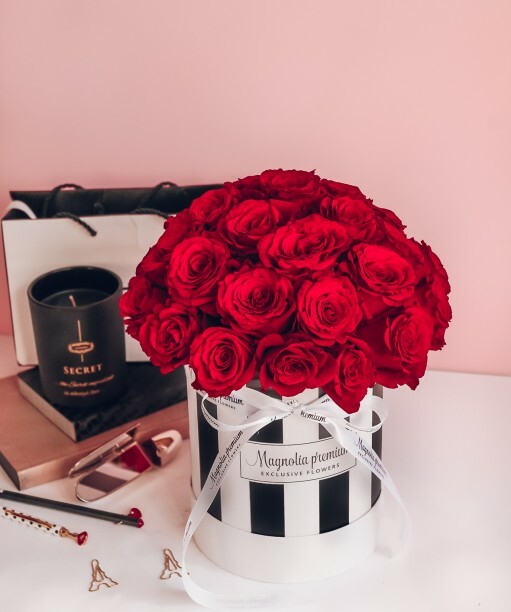 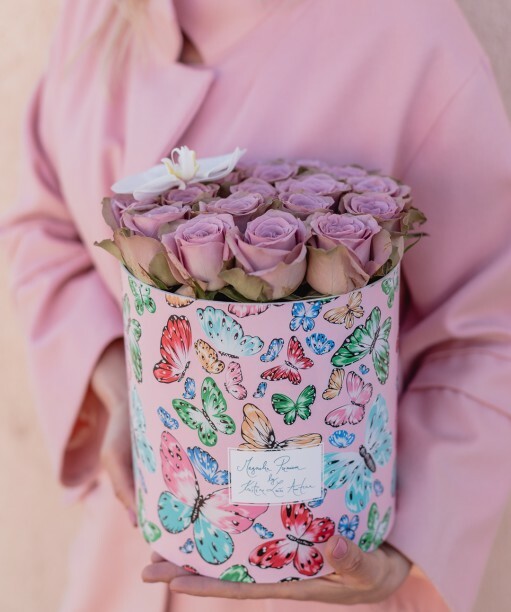 Magnolija Premium – We are here to help you create your best gift choice when you’re looking for an impeccable gift to surprise your loved ones! 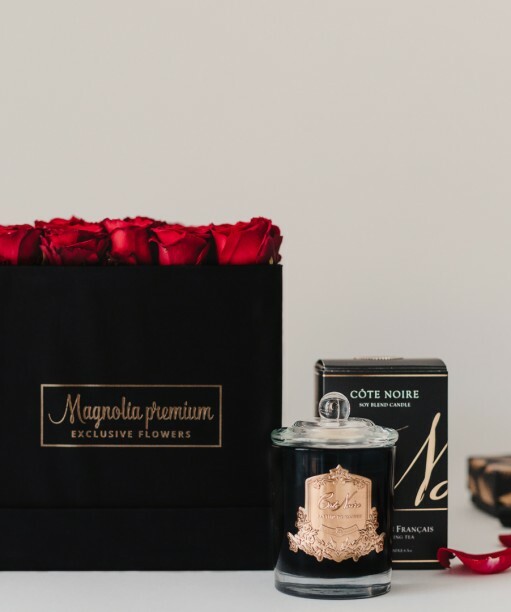 This is certainly the right choice of gift to make an impression. 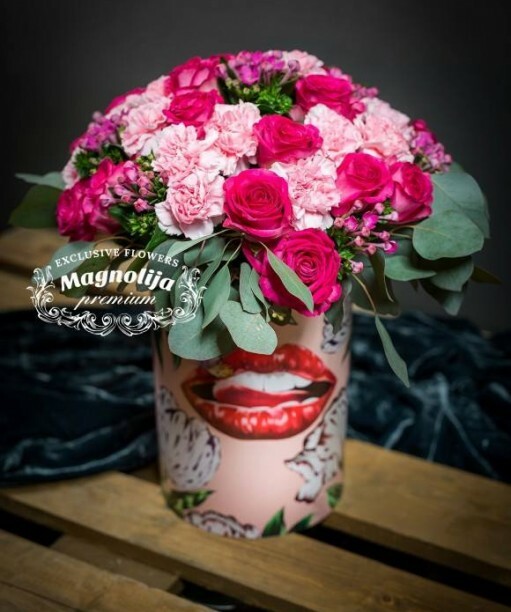 Each flower arrangament is handmade and unique. 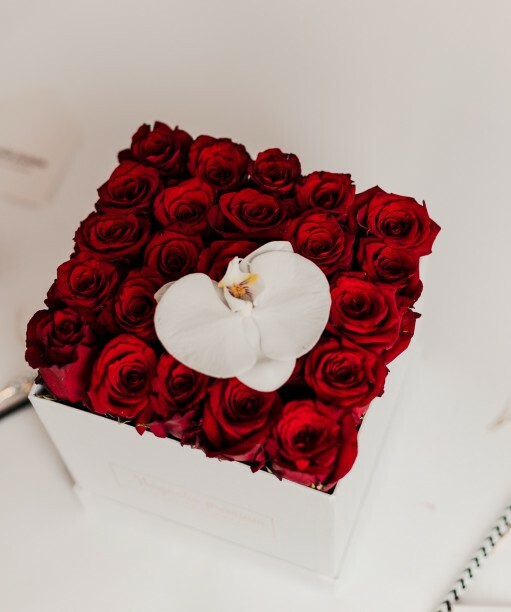 We use only highest quality roses from Red Land combined with exotic seasonal plants and greens. 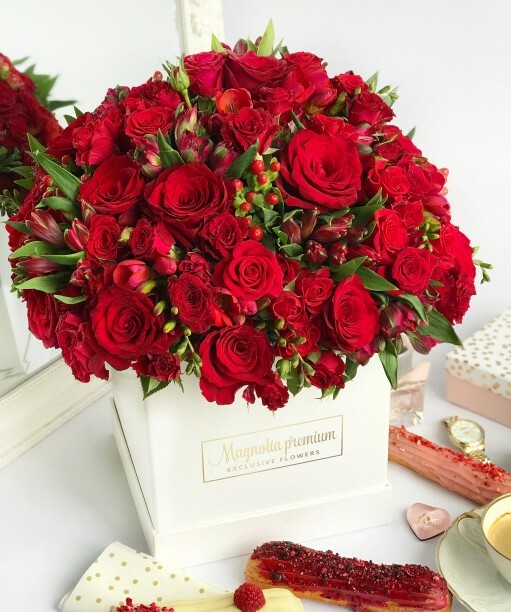 We are going to create for you most suitable flower composition for every life occasion with flowers and color combinations of your preference. 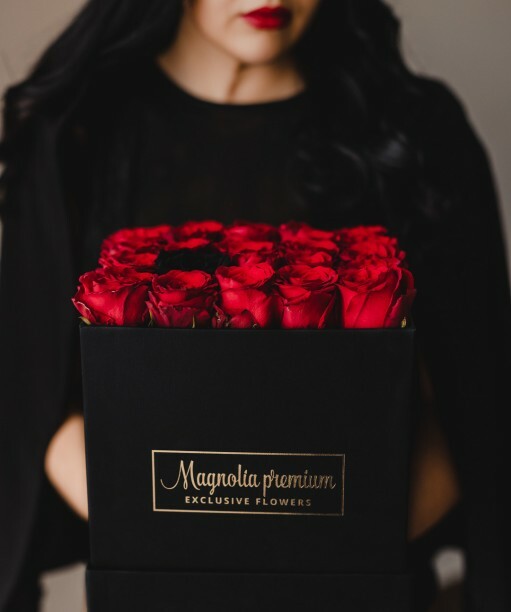 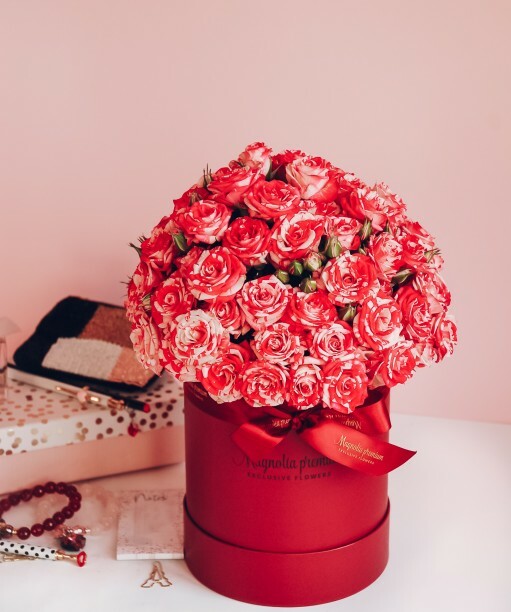 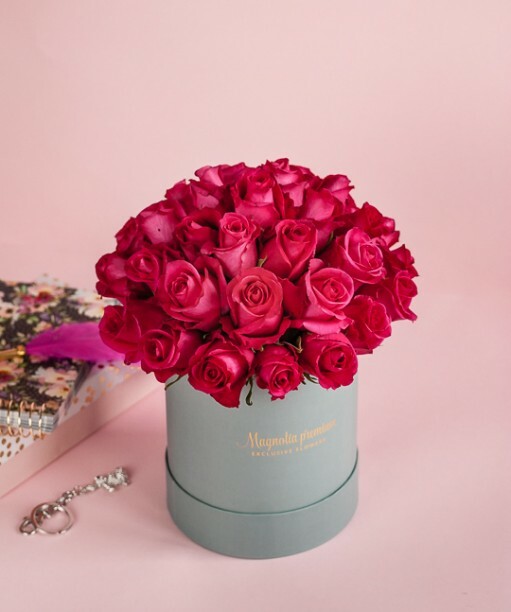 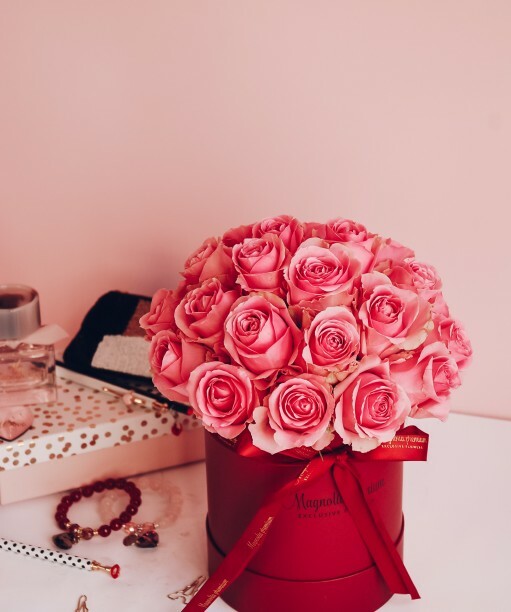 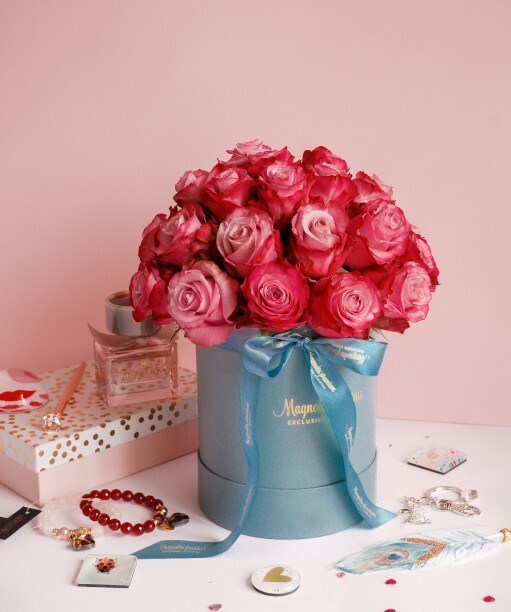 Magnolija Premium professional florists work with latest highest quality Red Land roses and follow latest fashion trends therefore your bouquet will be original and unique. 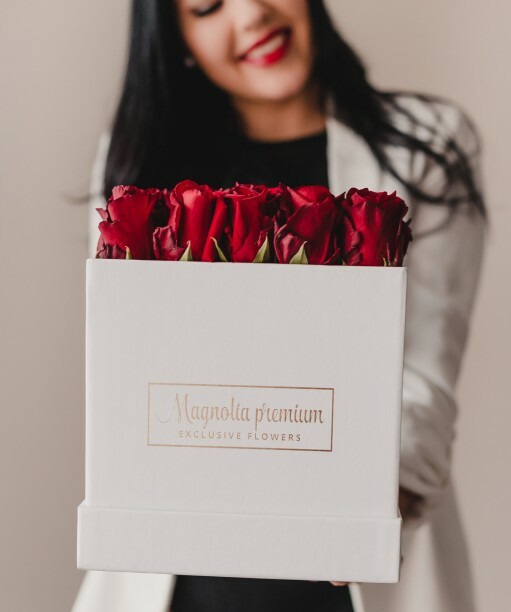 We care that you succeed and will do everything we can to make you happy! 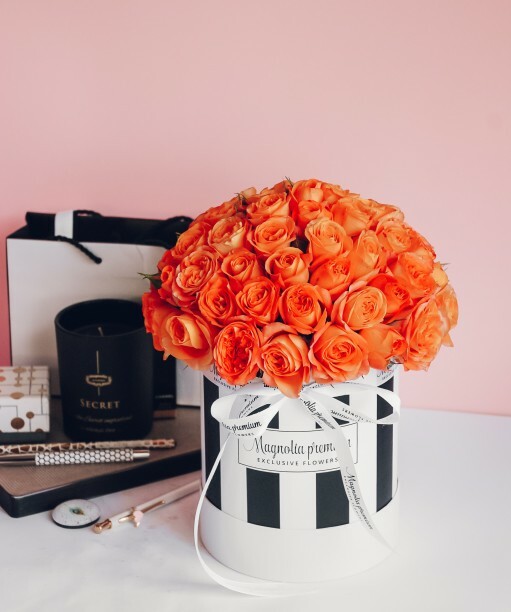 Ideally suits for: birthday gifts, as gift for bachelorette party, newborn baby, love and romance, as well as business gifts.